Can You Really Only Fold a Piece of Paper 7 Times? For all those who didn’t know this, there are plenty of people who argue that you can only fold a piece of paper in half a maximum of 7 times. Go ahead, give it a try. This is one of those experiments which does not come with the disclaimer of: “Don’t try this at home.” A small suggestion would be, however, to not to use a piece of paper torn from a notebook. So how many did you manage with the folding project? If you’re a normal human being with normal strength (unlike the Hulk), then I would imagine that you could have managed a maximum of 5 folds. Maybe 6…if you’re quite strong. It is highly unlikely, however, that you would have managed 7 or more folds in the piece of paper. So why is such a seemingly easy task actually so difficult to accomplish? Why can’t you go beyond 7 folds? Let’s start with the investigation of the reality of the 7-fold concept. Yes, absolutely. A piece of paper can, in fact, be folded more than 7 times. It has been done many times in many places all around the world. It’s just that the people who accomplished the feat used a lot of paper! In other words, it was not a piece of paper that you could simply tear from some notebook. Also, there were numerous people involved in the process. 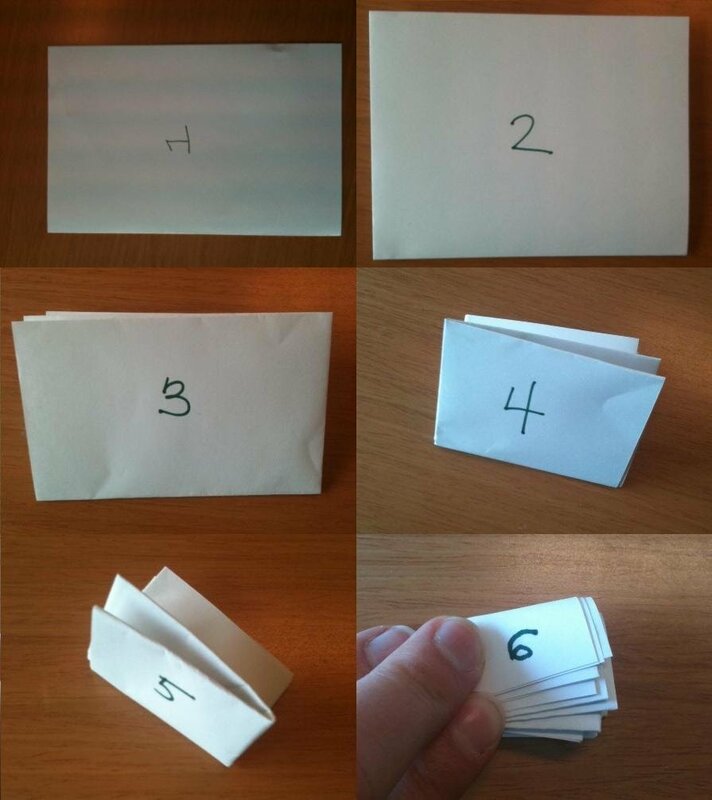 So, good luck trying to manage more than 7 folds all on your own with a small piece of paper. Under those conditions, it is basically impossible. She folded it 12 times! where t represents the thickness of the material to be folded, L represents the length of a piece of paper to be folded in only one direction, and n represents the number of folds desired. Since Britney’s accomplishment, there have been many instances of people breaking the barrier of 7 folds. The one which got a lot of coverage was a group of students from St. Mark’s School. They used a piece of toilet paper that was 10 miles in length and the process took 7 hours to complete! The group that set the record. The number that these industrious students achieved was 13 folds! The main difficulty lies in the ever-increasing thickness and thus the strength of the paper itself. It would seem quite plain at a glance, but if you take a piece of paper that is only 0.1 mm thick and fold it in half, the new thickness is 0.2 mm. This thickness goes on increasing exponentially, as does the height of the paper. If you fold the same piece of paper 7 times, it would be as thick as 128 sheets of paper. Also, with the increase in height, you also have a lesser width at your disposal to use in order to apply some force to keep the paper folding. So yes, not only does the paper become immensely thick, but it also becomes very, very tall. In fact, it is said that if you folded a paper more than 100 times, you would have a piece of paper that would be thicker than the Universe itself! Here’s a video of the Mythbuster team debunking the 7-folds only myth.